When internet was in nascent stage, getting relevant information from books or written sources is a bit tedious job. Now that is history and you can get all information at the click of a mouse, or you could better say at the touch of a screen. This digital revolution must help people in managing their affairs more efficiently. The good about Andhra Pradesh is, it is on the path of progress on digital side aggressively. When you open A.P. Govt. website, a scrolling news appears and says that the tech savvy Chief Minister N. Chandrababu Naidu is on Google Hangout programme. Recently, Govt. 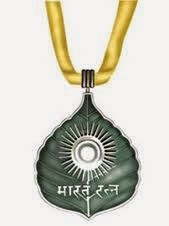 of India conferred "Bharat Ratna' to former Prime Minister Shri Atal Bihari Vajpayee and Pandit Madan Mohan Malviya (posthumously), the founder of the prestigious Benaras Hindu University. 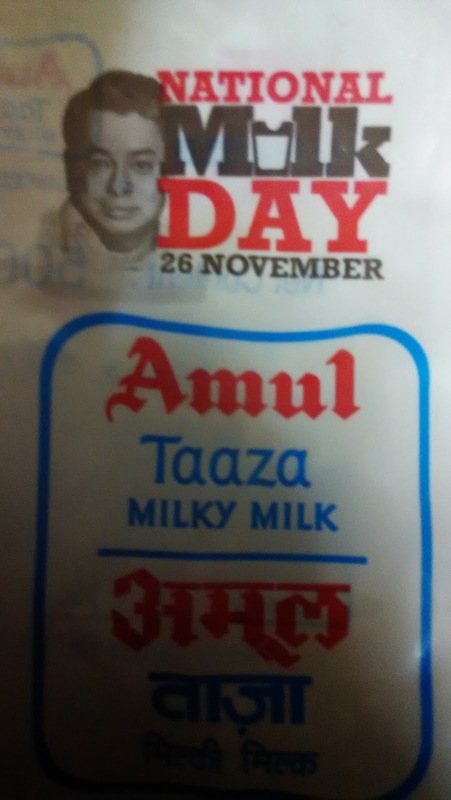 It became a trend to confer Bharat Ratna posthumously to some great personalities of Pre-Independence days. There is no wrong in honouring them as they are already jewels of India and we need not break our heads for their contention. The other day I read a news item that Agra demands Bharat Ratna to Mirza Ghalib on his birthday. No doubt that Ghalib deserves Bharat Ratna more than anybody else. He is a 'Heart's Poet'. I read his poetry and even visited his Haveli in Old Delhi and wrote an article about him (click here to read ). There was a time when water is freely available everywhere for domestic use. But the scenario has changed dramatically now. The water tables are now fast drying up due to uncontrollable urbanization. The other reason is bad management of water resources and also not being able to properly manage the rain water. A blog post need not necessarily give a message all times. It may be to share some best experience you got or some times, remember a giant and some others to propagate to the world some snippets of information which discovered.
" Teacher Randall 100 years old, passed on to the great beyond on December 9, 2012. May his soul Rest In Peace. Teacher Randall attained his 100th birthday on December 1, 2012. There was a wonderful party for the occasion held at the Nursing Home in Florida, where he resided. He had always looked forward to his 100th Birthday and he attained that goal, like the many other goals he achieved over his long life. Now we are living in a digital world and so we must avail the full benefits the technology offers. This helps to make our on-the-go life more productive and vibrant with the reading saga continues unhindered. Leisure comes in small increments even to a busy man. That's why there is an adage that if you want to get a thing accomplished, give that work to a busy man and he completes it without an iota of doubt. Here I want to share with you two tools which help you to create your own ebooks with free online e-book maker which stores your reading stuff from PDF format to ePUB format in seconds. Just select any PDF file from your computer and choose your output file format as ePUB and click the button. 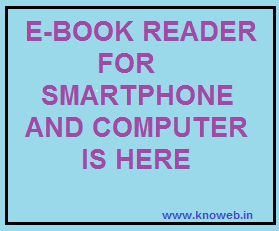 Now the file/book is ready to be read on your smart phone or even on your computer. 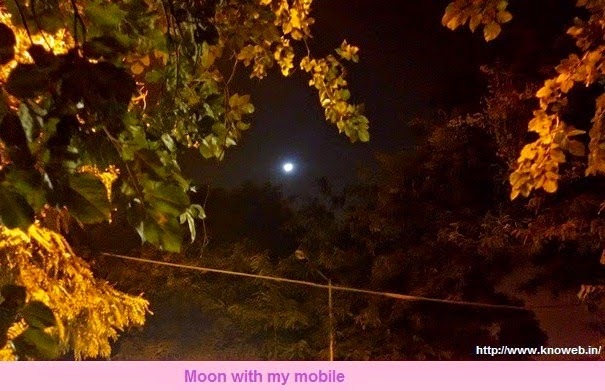 Though mobile phone is a boon of technology but it can't be without attendant headaches. One such daily irritation to me is unsolicited calls or SMSs from telemarketers viz. Real Estate, new product launch calls, Insurance, Credit Card queries and what not. Holding Master Degrees in English and Human Resources Development and two diplomas in Journalism and Counselling Psychology. Presently serving as Personal Secretary to Special DG, CISF in New Delhi. Earlier served as Faculty member and Psychological Counsellor at the National Industrial Security Academy (NISA), Hyderabad and as Police Advisor in the United Nations Mission in South Sudan (13 Nov 2011 to 13 Nov 2012). In every human relationship, ‘trust’ is the most essential element that acts as a glue and cohesive force. Trust is the basis on which relationships flourish, bloom and endure the test of times. It is the foundation on which the entire superstructures of human relationships are built. As pointed out by Barbara Smith, ‘trust’ is to human relationships what faith is to gospel living. It is the beginning place, the foundation upon which more can be built. Where trust is, love can flourish”. The power of trust is immense and limitless. We believe in the Almighty and repose our unflinching trust in Him and we all know how He ‘heals’ and enables us to come out from the life’s dilemmas and difficulties. We all heard about ‘trust deficit’ to be the stumbling block in the way of finding out amicable settlement to the long standing and contentious issues. Love is life and life without love is barren, insipid and meaningless. As echoed by Khahill Gibran, “Life without love is like a tree without blossoms or fruit.” It is no wonder therefore that in the absence of ‘trust’, many relationships simply disappear, dwindle and ultimately disintegrate. The above image whcih caught to my camera is a poster hung at one of the garment shops on Janpat Road in New Delhi. 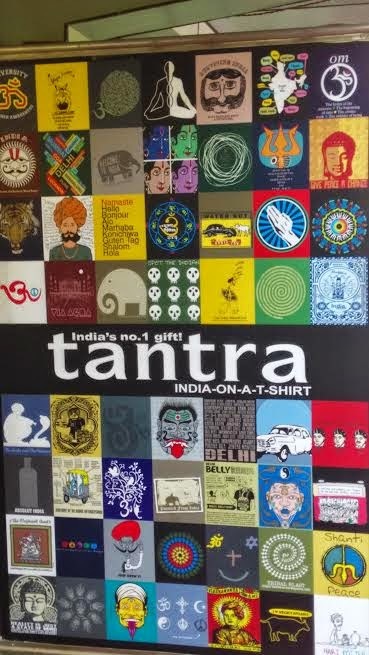 The shop appears to target foreign tourists with its unique Indian art print 'T' shirts which are attractive even to local eyes like me ! MY THIRD EYE SAW THIS : 3 : ISN'T THAT FASHION RAISING ITS UGLY HEAD ? 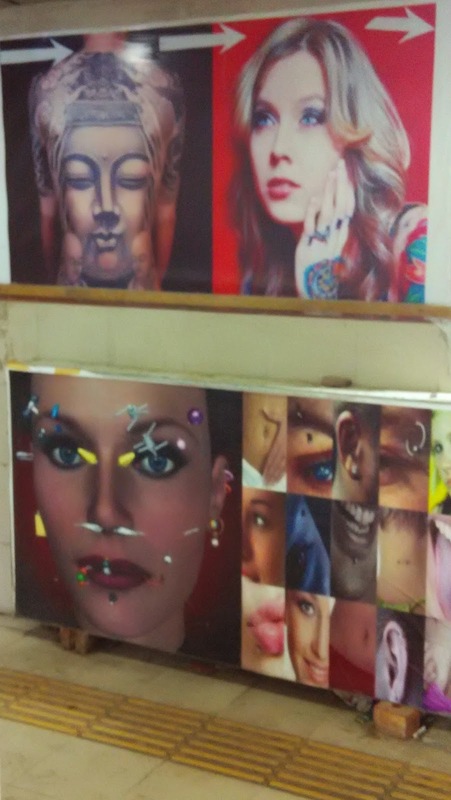 This is an ad board outside a tattoo and fashion piercing shop in New Delhi. No doubt that novelty should rule the fashion world, but I am getting a feel that fashion is raising it's ugly head after I saw this ad. Nobody knows when one sleeps where he or she goes. It is still a mystery to scientists. Who don't like sleep ? Nobody ! But, majority of people care little to this important daily activity. What is sleep ? It is defined as a natural periodic state of rest for the mind and body, in which the eyes usually close and consciousness is completely or partially shut off. Though scientists have done considerable research on sleep disorders and sleep states in mammals including humans, there seems to be no clear-cut answer why 'sleep' is essential and continuous research is still going on. Sleep is a natural restful state of body and mind. If you do your day's work to your best of ability, the psychological factors contribute to get a good sleep. In fact, our sleep cycles are in symphony with Nature's cycles. for getting a Life Certificate. at the closest enrolment centre. 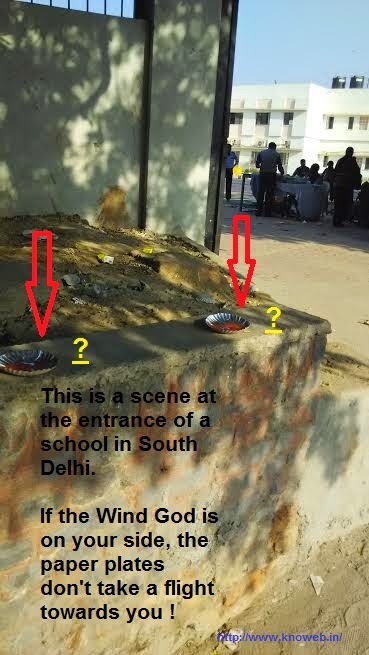 to find closest enrolment Centre. In fact, the news is nothing to do for me as I am not a pensioner. But the blogger in me thought to spread the message to wider public. 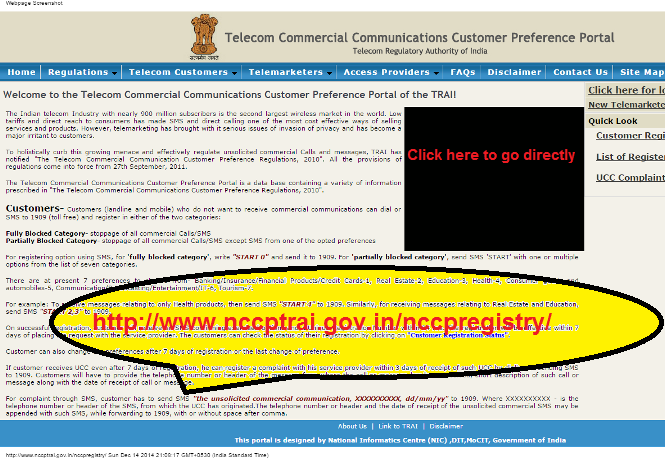 Why because, it is a step by Government of India to use the technology to solve the long standing problem. 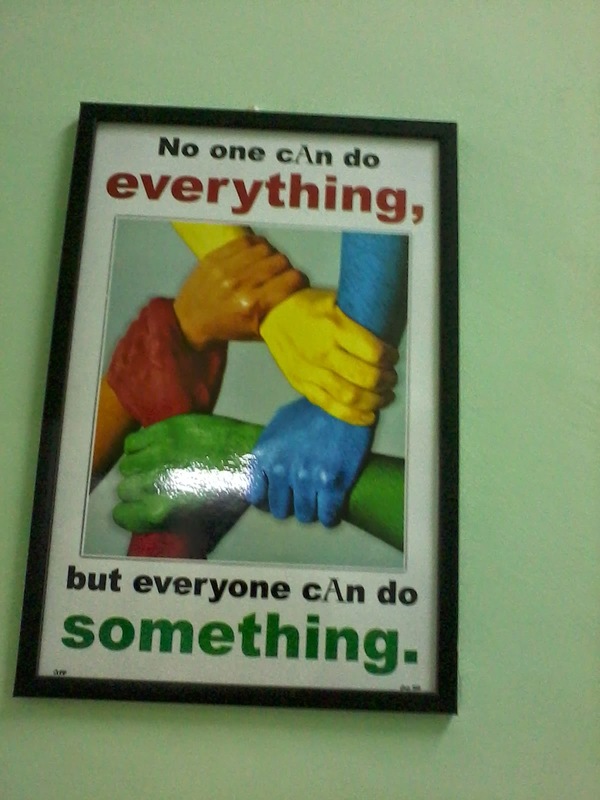 This is another quote on a school wall, taken from my mobile camera. 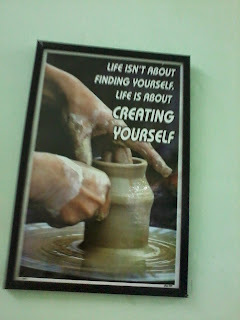 The quote reminds me my own efforts in starting a blog three and half years ago. Down the line, with over 200 articles posted on my blog : http://knoweb-india.blogspot.in/ with audience reading the stuff world over (33 countries at present, as per my traffic statistics) my confidence strengthened. It is a process of 'self -creating' and hope the above quote ponder you to find your strengths to create a future you cherish ! The other day, I went to my daughter's school. 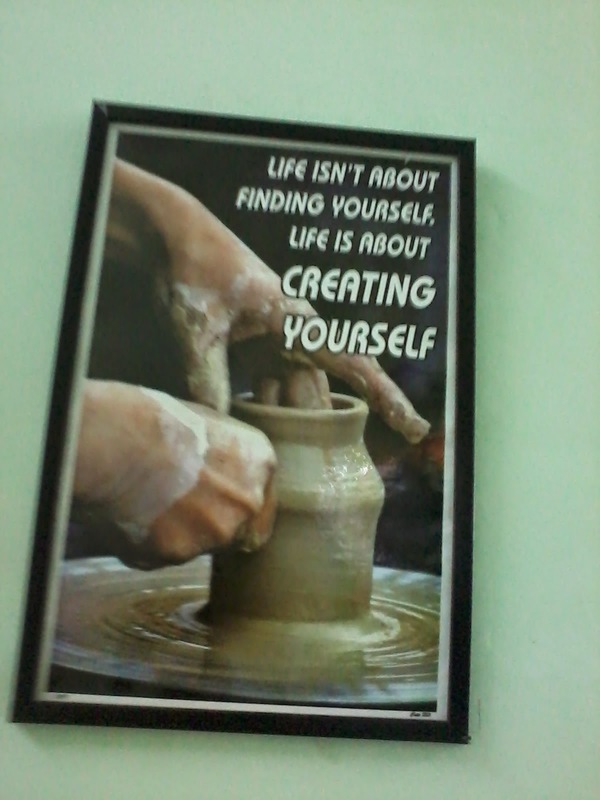 The above image you are seeing is clicked from my smartphone camera. There is nothing new. But it is a fact that some perennial quotes remind us of hard reality which we generally forget in the din of daily grind.